Amid allegations of sexual assault, LGBT groups are calling for an end to the confirmation of Supreme Court nominee Brett Kavanaugh. In an interview published Sunday in The Washington Post, Christine Blasey Ford, a 51-year-old research psychologist in California, said that she was the previously anonymous woman who had accused Kavanaugh of attempted sexual assault when he was a student at Georgetown Preparatory School. Ford said that the assault took place in the early 1980s at a party. She said that Kavanaugh tried to pin her down and remove her clothes. When she screamed, he put his hand over her mouth. She said that she was able to break free when Mark Judge, a friend of Kavanaugh's at the time, jumped on top of them. She fled to the bathroom, then left the party. Ford said that she recounted the incident for the first time while in couple's therapy with her husband in 2012. During his Senate confirmation hearing, Kavanaugh refused to answer questions related to marriage equality and whether it's okay to fire LGBT workers. 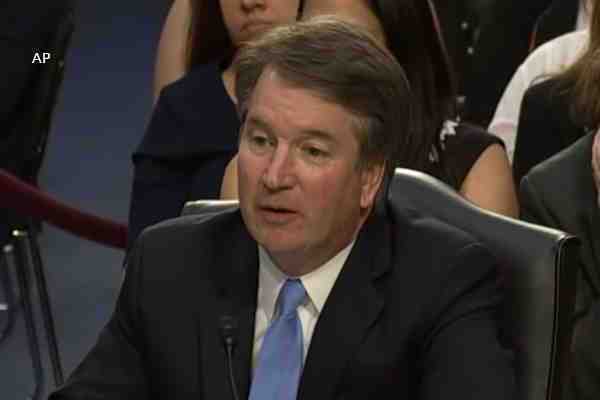 The Senate Judiciary Committee was set to vote on Kavanaugh's nomination on Thursday. Chad Griffin, president of the Human Rights Campaign (HRC), called on the Senate to halt the proceedings. Rick Zbur, executive director of Equality California, said that the charges alone were enough to disqualify Kavanaugh.